Very pleased with this product overall. The only gripe would be that it isnt brilliant at extraction, however i dont know many hoods that are! Many comments on how "good looking it is". Find me any totally quiet cooker hood. It would be great. I had mine vented outside, so I can't comment on the recycled version. It is efficient. 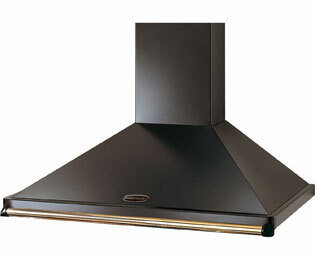 Comes in varing widths, so is wide enough to cover the entire hob. Has multiple down lights to light the hob. 3 speed settings, although generally I only have to use the slowest, quietest speed for it to be effective. Super build quality. Easy to clean. Filters can be put in the dishwasher.